We are here as a delegation of Sweden, Denmark, Finland, Iceland, and Norway, and we even have our vice president from our Parliament, Martin. And also our former vice president, Martin. We admire each one of you, the thousands of brave women and men who took part in the uprising in Iran lately. The uprising was organized by the resistance, as we know, and has shaken the regime to its core. We have witnessed the strong and impressive organization, the efficiency and capabilities of the resistance. And most of all, the extraordinary leadership of Mrs. Maryam Rajavi. in Ashraf and in Albania for many years now, we have seen that we, what we call the resistance is in fact the strongest democratic opposition any country has abroad today all of this shows that this movement is a powerful alternative to the religious dictatorship in Iran. 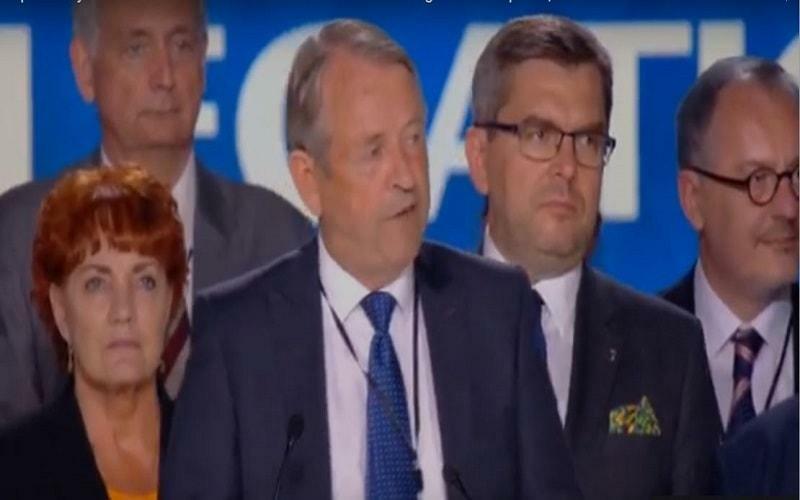 This movement has the capability of bringing not only democracy and human rights to Iran, but also peace and tranquility to the regime, including security for Europe. Such a gathering like this, organized with the participation of more than 100,000, confirms the quality of this movement. We enjoy bipartisan international recognition and support from the United States, from Europe, and Arab countries. This is our movement. With all the different plots carried out by the regime against our movement, all the efforts to produce false information about what they called insignificant work, it shows how much the regime fears its alternative. Mrs. Maryam Rajavi, dear friends, we are with you and you can always count on us to stand with you in the fight for our common values. We are all created equal. Lars Rise is a Norwegian politician for the Christian Democratic Party. He was elected to the Norwegian Parliament from Oslo in 1997, and was re-elected on one occasion. Rise was a member of Hordaland county council during the term 1979–1983.